It’s Time To Up Your Sock Game! 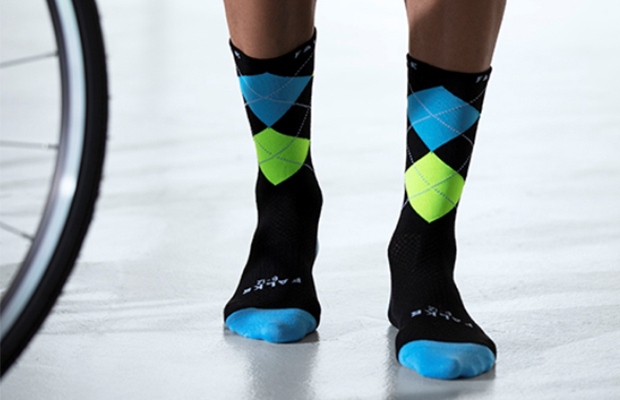 Make it a ride to remember with Falke’s limited edition cycling socks. You may wear emotions on your sleeve but when it comes to showcasing your personality, it’s all about your sock game. Whether you pick a pair to show off your calves, psych out your competition or reflect your mood, your socks are an important aspect of your ride. Of course, you could have the prettiest socks in all the land but if they slip down, cause blisters or make your feet sweat they’re going to sit in the back of your sock drawer. The new Falke SS18 Sport Collection Limited Edition cycling socks range features a seamless toe and sensitive cuff to provide comfort as well as arch support, which prevents the sock from sliding down mid-ride. They’re also made with clever mesh panels to provide ventilation (no blisters here!) and a reinforced heel and toe for maximum durability. Of course, they come in fun and playful styles too – be prepared for some major #SockEnvy coming your way! Shop them now at www.falke.co.za. Build Your Own Social Cycling Network With JET8!